Are housing markets in Toronto and Vancouver at risk of a price crash? Not a huge risk, if history is any indication. 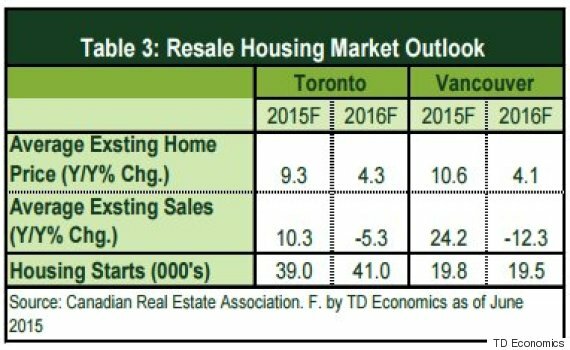 In a report titled "Assessing the risk of a disorderly home price correction in Toronto and Vancouver," TD Economics said that both markets face only a "medium-to-moderate" chance of a deep crash. Economists Derek Burleton and Diana Petramala came to their conclusions by looking at U.S. housing data in the years leading up to the 2008 recession, when prices fell anywhere from 30 to 60 per cent in certain cities. 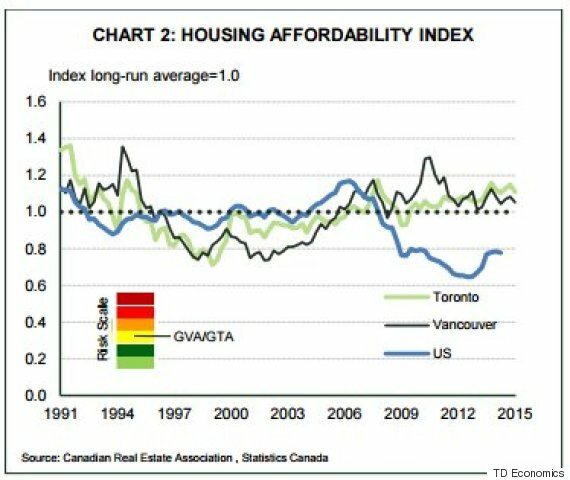 And while they expect a "moderation" in Canadian housing activity later this year and next, they determined that neither Vancouver nor Toronto are seeing the conditions that would lead to such a steep fall in prices. The report states that home prices in the U.S. shot up at a rate of 14 per cent per year in the "most overheated cities" leading up to the recession. By contrast, prices have been rising in Toronto on a quality-adjusted basis between six and 6.5 per cent annually for the past three to five years. 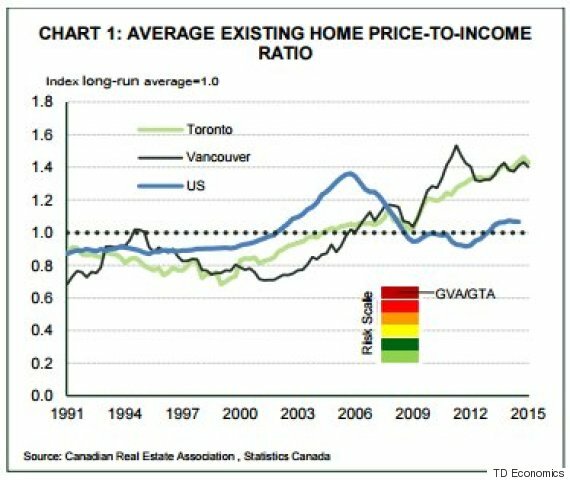 In Vancouver, they've been rising at anywhere from two to three per cent every year (and that includes a price correction that took place in 2012). Burleton and Petramala also looked at the home price-to-income ratio to determine overvaluation in these cities. While the U.S. saw overvaluation of 20 per cent in 2006, TD's report said that Vancouver and Toronto's markets are only at around 10 per cent, "a fraction of what was evident in most U.S. major markets during their run up." "By our estimates, the housing markets would have to face an interest rate increase of 1.5 to two percentage points (at constant income and home prices) for affordability to rise to levels that have been consistent with a sharp housing market adjustment," they wrote. "Even then, a rise into danger territory would be a necessary but insufficient condition for a major price drop." TD's economists also calmed fears about market speculation, saying, "while foreign and domestic investor purchases appear to have become an important source of demand in Toronto and Vancouver, surveys suggest that a buy-and-hold strategy has remained the popular choice." Toronto does, however, face more risk than Vancouver when it comes to overbuilding. Hogtown saw a "significant period of excessive building" before cooling off in recent years. As a result, builders are holding a "record number of newly completed but unsold units," many of them condo apartments. 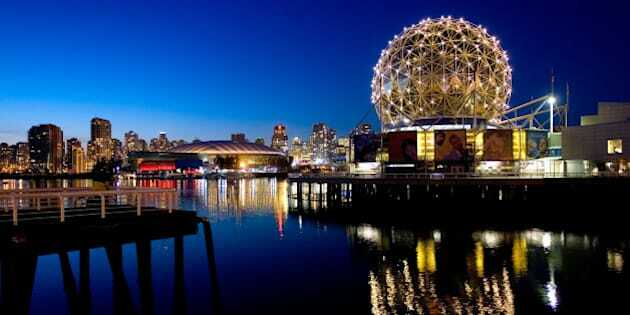 Burleton and Petramala warned that Vancouver and Toronto remain vulnerable to a correction in both prices and housing activity, though nothing like what was seen in the United States. Ultimately, they expect a "soft landing."